A large majority of today's prescriptions are filled electronically. With so many scripts in motion at once, accuracy is more important than ever. 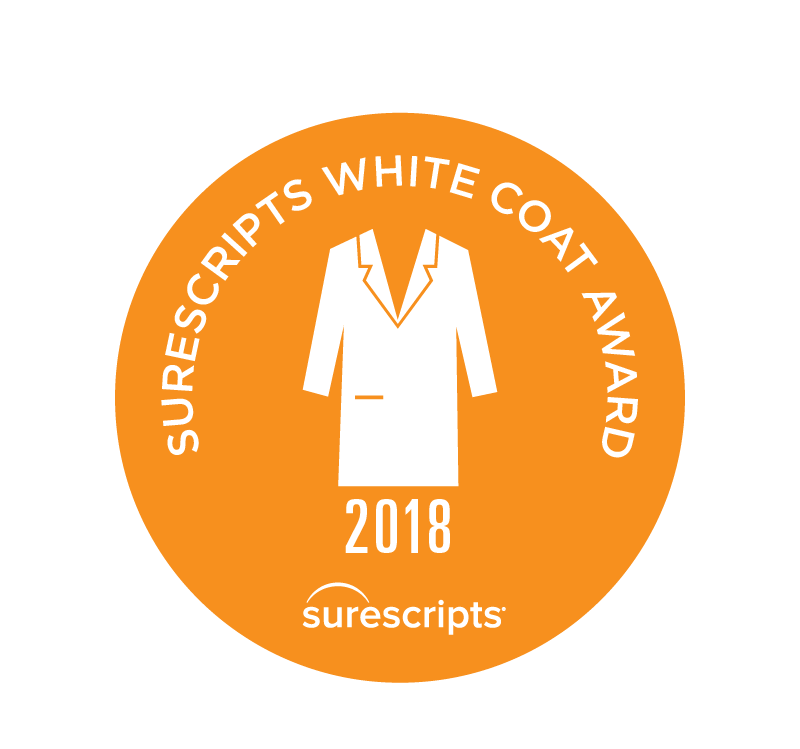 We're honored to announce we are the 2018 White Coat Award winner for "Highest Accuracy" in the category of EHRs with more than 20,000 active monthly prescribers. White Coat Award recipients are recognized as industry leaders who understand the importance of e-prescribing accuracy to increase patient safety and have adopted best practices and implemented technology enhancements for better workflow efficiencies. The White Coat Award includes three categories: Highest Accuracy, Most Improved Accuracy, and the Trailblazer Award, with winners selected for each category. We take tremendous pride in such an achievement and look forward to continued success in years to come! To read the complete press release from SureScripts please click here.